Amnesty International today called on the Mexican authorities to free Alberto Patishtán, a Tzotzil Indigenous man and bilingual teacher from the state of Chiapas, in order to end 13 years of unjust imprisonment. His prolonged detention shows once again that in Mexico Indigenous or poor people continue to suffer the denial of their human rights, such as the right to live free from discrimination and the right to a fair trial. 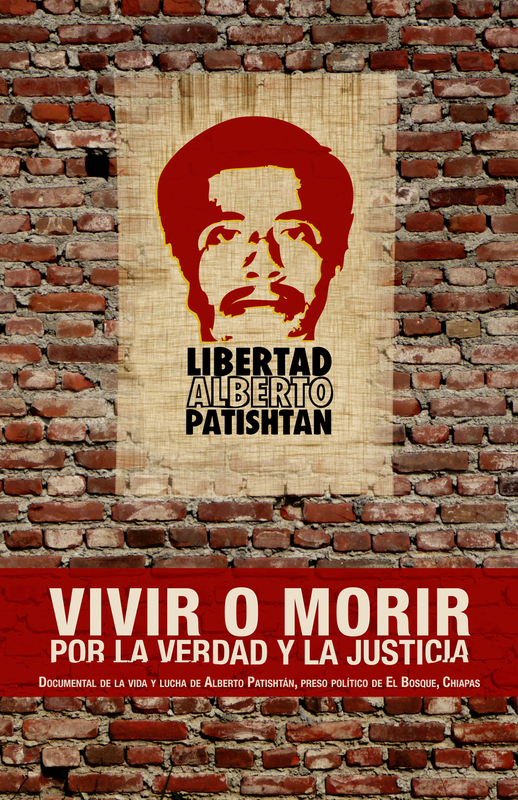 After studying the case of Alberto Patishtán, who was convicted of the murder of seven policemen, the organization believes his prosecution and conviction to be unfair. The recent decision by the Federal Collegiate Court of Tuxtla Gutiérrez to reject a legal petition to recognise his innocence means that he has no other effective remedy available to him in Mexico’s justice system to correct the injustice that he is living. Amnesty International recognises the gravity of the multiple killings committed on 12 June 2000 during an ambush in the municipality of Simojovel, Chiapas state. Relatives and survivors have the right to demand those truly responsible are brought to justice. However, Amnesty International’s study of the case indicates that Alberto Patishtán did not participate in the crime and there are serious flaws in the investigation and judicial process he was subjected to. Those truly responsible for the killings continue to enjoy impunity. As with other cases documented by Amnesty International, the fact that Alberto Patishtán is Indigenous and lacks economic resources played a fundamental role in limiting his right to a fair trial, in particular his right to effective defence and equal treatment before the law by the public prosecutor and the judiciary. In 2002, the First District Federal Court In Chiapas sentenced Alberto Patishtán to 60 years in prison for crimes of wounding, aggravated homicide, aggravated robbery, damages and illegal possession of arms exclusively for the use of the Army. An appeal, a judicial review and first petition for recognition of innocence were rejected in 2002, 2003 and 2009 respectively. However, Amnesty International believes that the irregularities in the investigation and judicial process were never properly assessed in order to correct his conviction. The second petition for recognition of innocence, presented in 2013, sought to demonstrate that according to 2011 constitutional human rights reforms and the judiciary’s own jurisprudence developed since 2000, the evaluation of prosecution and defence evidence should have protected fundamental rights, such as the presumption of innocence and due process to ensure a fair trial. The Federal Collegiate Court in Tuxtla Gutiérrez rejected this petition on the grounds that the recent advances in jurisprudence did not constitute “new evidence”. At the same time, the court recognised that its decision “was not a pronouncement on the criminal responsibility of the petitioner”. However, the court failed to take advantage of the opportunity to review the sentence in the light of the new standards to protect human rights. It is worrying that the judiciary has avoided analysing the sentence taking into account international human rights norms that now form part of the Mexican constitution. On reviewing the case in detail, Amnesty International believes there are serious flaws in the investigation, prosecution and sentence. There was never an investigation into the undue influence over the public prosecutor’s investigation exerted by the municipal president of El Bosque, a neighbouring municipality to Simojovel and where Alberto Patishtán lived. His son was one of only two survivors of the attack and the only witness to identify Alberto Patishtán. Before his son made his statement identifying Patishtán, the municipal president told the prosecutor that he was one of perpetrators. He also provided the supposed motive. These elements served to issue a warrant to locate Patishtán. He also provided a photo of Patishtán which the prosecutor used to press the case and encourage witnesses to implicate the Indigenous teacher. There was never an impartial investigation into the social context which could have motivated a false accusation by the municipal president and his son against Alberto Patishtán. A month before the killings, Alberto Patishtán and other people from the community had publicly requested the removal of the municipal president. This information was never investigated by the prosecutor or considered seriously by the trial or appeal court judges. There are unresolved contradictions between the different statements given by the municipal president’s son on the events of the crime. There are unresolved contradictions between the statements of the municipal president’s son and the other survivor of the attack, including the manner in which it took place and the clothes of the attackers, such as whether they were wearing balaclavas or not. In one of the son’s statements, he implicated a second person who was later acquitted after demonstrating his innocence, once again placing in doubt his credibility as a witness. Alberto Patishtán did not have access to effective legal counsel to ensure he could defend himself against the charges, cross examine witnesses and other evidence, or present effective defence evidence. The judicial decision to dismiss evidence provided by various defence witnesses which showed Alberto Patishtán was in another place at the time of the crime is in contrast to the manner in which contradictions in the prosecution witnesses’ statements were ignored. There were violations in due process by the prosecutor when collecting evidence and presuming the guilt of Alberto Patishtán. Similarly, the judiciary, failed to guarantee the right to presumption of innocence by ignoring these violations in due process and their impact on the evaluation of the evidence. Amnesty International believes that these irregularities show that the sentence against Alberto Patishtán was issued without guaranteeing his fundamental rights and have resulted in his unfair and prolonged incarceration. He and his family have had to live with this injustice for 13 years. Also, the health of the indigenous teacher has deteriorated during his time in prison. Now, the only judicial means available to him is a long route through the Inter American Human Rights System, which may take several years to guarantee access to an effective legal remedy. Therefore, Amnesty International believes that the federal authorities must end this injustice and free Alberto Patishtán immediately to reaffirm the rule of Law and human rights. Amnesty International has collected more than 27,000 signatures during the past few weeks demanding justice for Alberto Patishtán.